Tooth decay in babies and young children is an infection. It can begin as soon as teeth cut through the gums into the mouth. Infants and young children most often present cavities of the upper front teeth, but decay can be found in back teeth as well. If you’ve been coming in for routine visits, you’re probably already familiar with the unique tools we use to remove the build-up of plaque (a bacterial biofilm) and tartar (a hardened deposit, also called calculus) from your teeth. 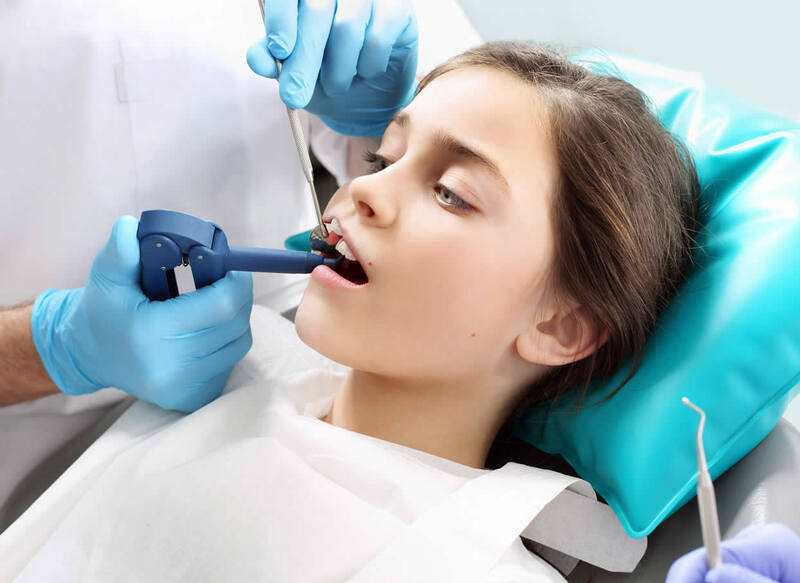 We may use handheld instruments, Ultrasonic Scalers, or both to give your teeth a thorough cleaning. Afterward, we check thoroughly for decay and treat cavities when necessary. There’s still more we can do to prevent tooth decay. Could your eating routine be a contributing factor? Is your brushing technique, adequate? Could you benefit from extra preventive treatments? 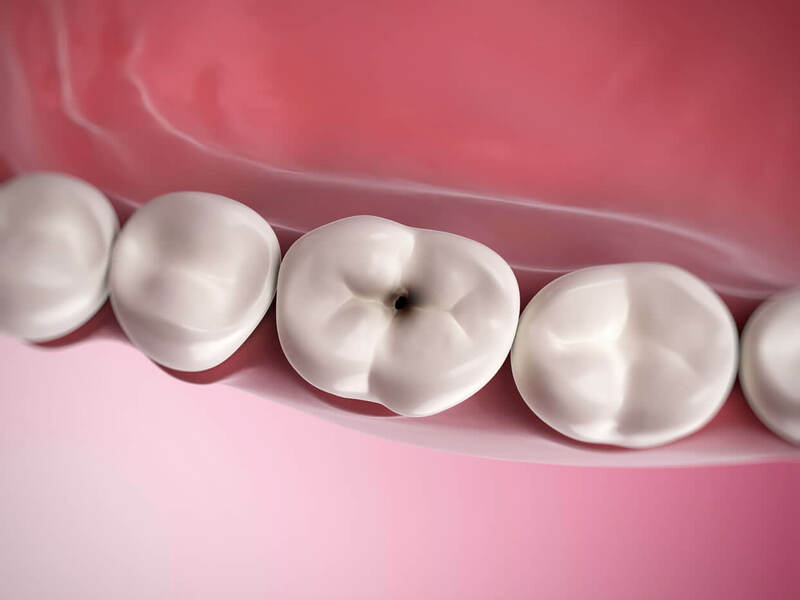 Today, with our expanded understanding of what causes tooth decay and how to treat it, we can focus on decay prevention in your particular case. In fact, it’s now possible to assess each risk factor for decay and focus on doing what’s best for you. Early decay first surfaces as little white spots on the teeth. These white spots will appear to get bigger or multiple. As decay advances, it will gradually change to a light brown stain and appear to lackluster or look chalky. The cavity may turn dark brown to black. As decay exacerbates, it will submerge deeper into the tooth’s enamel and seems to eat away the entire tooth. In the end, a hole will make its way to the baby tooth’s nerve and blood supply impacting the health and appearance of permanent teeth as well as the child’s overall health. The usual reason for the formation of these holes or cavities is the failure of the dental hard tissues. If children get addicted to eating sweet foods, then their vulnerability to this disease increases. The resulting holes will not be very deep in cases of mild tooth problems. 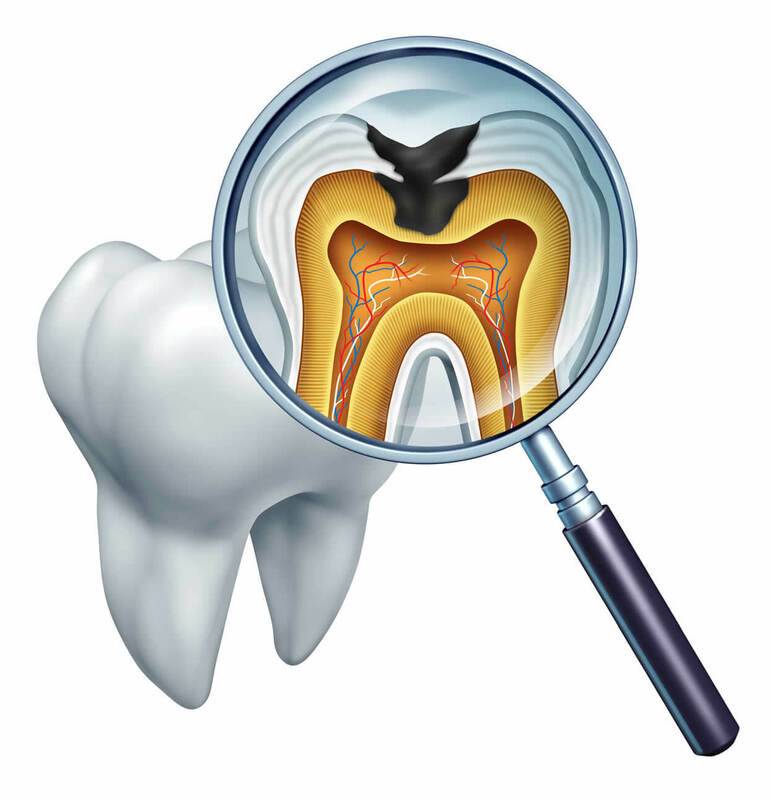 However, the cavities can be very deep in more severe cases hampering the adjoining blood vessels and nerve tissues. Bacterial infection primarily causes cavities in children. Also, bacteria residing on the outer surface of the teeth get their nourishment from the drinks and foods that are taken in. The acids produced by these bacteria impact the coating of the teeth called enamel. Enamel, which is the protective belt of teeth, preventing it from possible harms, gets affected by bacteria, and this inevitably results in tooth decay. And such a happening can be triggered or the probability of its happening increased by taking sweet foods and foods and also not brushing the teeth regularly. Once the center of teeth gets affected by this disease, severe infection and acute toothache could occur. Milk teeth lack a thick coating of enamel, and because they are more vulnerable to tooth decay, children should meet up with their dentists periodically to keep this problem at a distance. The shunning of acidic or sweet foods and regular brushing of teeth will thwart the formation of acids affecting the enamel which is the primary cause of tooth decay. It is possible to create a neutralizing impact to reduce teeth decay by taking foods like milk and cheese after a meal and also by drinking plenty of water. Fluoride mineral contributes in a great way to reduce tooth decay, and it is advisable to use toothpaste containing fluoride.